Disaster Restoration Services offer full service fire and water damage restoration services Shrewsbury MA. We are a family-owned company dedicated to helping residents and businesses in the tristate area get their homes and property back to pre-disaster condition. Our restoration experts are on call every day, 24/7, so we are there when disaster hits to recover the damage. When damage has occurred to your home or business in Shrewsbury, or in Worcester county. 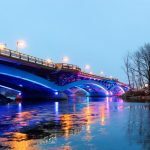 Disaster Restoration Services offers commercial and residential services in Massachusetts, Connecticut, and Rhode Island. The damage done from water doesn’t wait, so you shouldn’t either. To minimize the destruction of water damage, an immediate response from a professional restoration contractor is imperative. Invasive properties of water can lead to warping, swelling, staining, rusting, and decay. DRS begins the water extraction process without delay, saving your property and its contents from irretrievable damage.